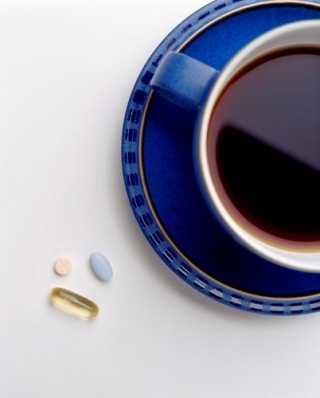 Home | Blog | Is Your Morning Coffee Killing Your Probiotics? << Pokémon Go Improving Mental Health? What about Addiction? Today I had to ask myself this question: does drinking coffee kill probiotics? This question came to me in particular due to an experiment I’m trying with a well-known nutrition supplement program and shake system. The woman I spoke to about the system was adamant that my daily 2 cups of coffee were the reason I wasn’t seeing the addictionesque results from using their products. She claimed the acid from the coffee was killing the probiotics in the nutritional system (and not the fact I already eat well, and exercise daily). Well, this of course made me curious because of everything I’ve already read and studied about gut flora and probiotics. For instance, the best probiotics don’t thrive at room temperature and should ideally be stored in the refrigerator. This includes the sale, shipping, and at-home storage. None of which their products require, or even offer. Technically, they don’t say whether or not they’re probiotics have been freeze-dried (which isn’t ideal, but there are instances where we’ve made strides to keep strains viable). They also don’t say whether or not their tablets are enteric coated to withstand the hydrochloric acid in the stomach, let alone the acidity of coffee. Nowhere on the label does it talk about the number of active strains, or probiotic colonies. This, among other inconsistencies, threw up some red flags about their system and the way the approach anomalies like me. I get why companies like this exist and make big money. There are 40 million Americans suffering from chronic gut stress, according to Gregory A. Plotnikoff, MD, MTS, FACP, the Co-author of Trust Your Gut, Senior Consultant at the Penny George Institute for Health and Healing. More than that number are chronically obese, have energy lags, and are looking for the magic pill that fixes everything. Unfortunately, this often comes with a blind faith and a blind eye. Neither of which I’m best known for. I’ve always found it’s important to do the research and come up with your own conclusions whenever possible. I’m sure many of you may have heard of probiotics, but you may be wondering what they’re really good for. Sure, they’re in your yogurts and such, but why do we need them? Or more importantly, what do they do? So, this company I was talking about earlier may be freeze-drying their probiotics so they can withstand room temperature. While our freeze drying process has increased the viability of probiotic strains over the past few years, conditions have to be right. If any moisture enters the packages, the strains are activated and thus subject to the damaging effects of any other probiotic that hasn’t been refrigerated. When purchasing live strains, it’s very important to buy them from a company that keeps them refrigerated. As I stated earlier, this includes the shipping process, too. If you buy live strains online, you want to be sure they’re kept in a refrigerated car and packaged with materials that keep the probiotics cold once they’re sitting on your doorstep. Now that we’ve talked about what probiotics are good for, it’s important to make sure they live long enough to do their magic. So what about this coffee kills probiotics issue? There’s no evidence whatsoever coffee kills the probiotics in your system. However, in some instances, coffee (both brewed and instant) have increased the levels of Bifidobacterium (good bacteria) in the gut. The interesting thing is, heat can kill probiotics. Perhaps this is where people get confused since coffee is hot and it happens to be something nearly everyone consumes first thing in the morning. The way around this issue is simply to avoid eating or drinking anything hot for 30 minutes before or after taking your probiotics—which should always be taken on an empty stomach. Because coffee is a stimulant, the caffeine triggers the sympathetic nervous system’s natural “fight or flight" response. It puts your body into an increased state of chronic stress which can cause issues from cortisol increases and adrenal gland burnout (see below), to simple agitation and the inability to relax. With the consumption of caffeine, cortisol levels increase. Cortisol is released by the adrenal glands as a response to stress, and as a natural response roughly 3x a day. While some studies are showing that with consistent consumption, this effect is reduced (though not eliminated), it’s important to note that it can still lead to adrenal gland burnout. It also makes losing weight much more difficult, as consistent elevated levels of cortisol have been linked to belly fat and weight loss problems. Because caffeine puts your body in a constant state of emergency, the adrenal glands work overtime to produce cortisol. Eventually, this leads to adrenal burnout. This in turn breaks down healthy bone and muscle, slows cellular healing, interferes with digestion, metabolism, and mental functions. Basically, everything shuts down and you’re reliant on the caffeine kick, which further burning out the gland. Caffeine has been known to exaggerate the glucose-insulin response in those who already have shown signs of insulin resistance. While the effect on insulin resistance can vary from person to person based on their level of sensitivity, it’s important to note caffeine’s impact. If you’re already bordering on insulin resistance or have become insulin resistant, it may be wise to remove caffeine from your diet. While moderate caffeine may increase testosterone in healthy individuals, leading to muscle gain—when cortisol levels have risen above testosterone, the caffeine has the opposite effect. Rather than anabolic muscle gains, the caffeine begins a catabolic muscle breakdown. It was important for me to note that while my daily coffee ritual was likely not the cause of my abnormal results from the nutrition company, drinking coffee can still be a problem. It’s health effects are far more reaching than the simple “awake" feeling I get in the morning. If you’re a coffee drinker (who doesn’t plan to give it up) and who also takes probiotics, timing is your most important piece of information in this article. Then again, timing really is most important for anyone taking probiotics. Remember, take them on an empty stomach with nothing hot to eat or drink for at least 30 minutes before and after. Follow that rule and you’ll be just fine.